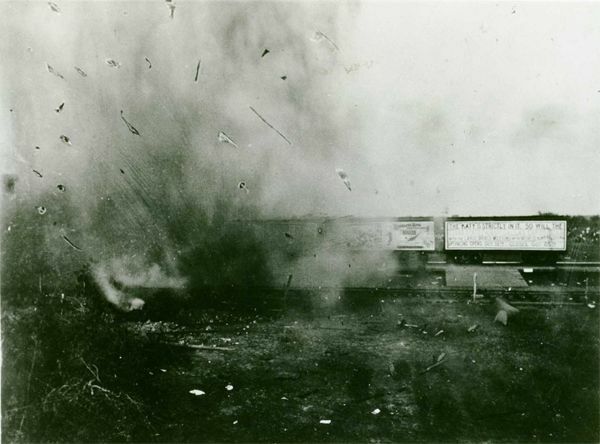 Brian Burns - Once Upon A Time In Texas: Texas History Through Texas Music - History! The stories behind the songs: these are links, based on songs I have written and/or recorded, that students, teachers, and history buffs may find to be of interest. This epic song was written for, but never used in, the 1961 John Wayne movie The Alamo. It was recorded by Marty Robbins, Frankie Laine, and other legendary artists, and is considered one of the top western songs of all time. It has served as the spark that ignited many a young Texan's interest in the history of our state. Although the original version has some historical inaccuracies, it paints a vivid and dramatic picture of the battle. In 2014, British rock icon Phil Collins announced that he would donate his massive multi-million dollar Alamo artifact collection to The State of Texas. The Phil Collins Alamo Museum is set to open within the coming year. Our hats off to Mr. Collins for bringing these artifacts to light, then bringing them home to Texas! 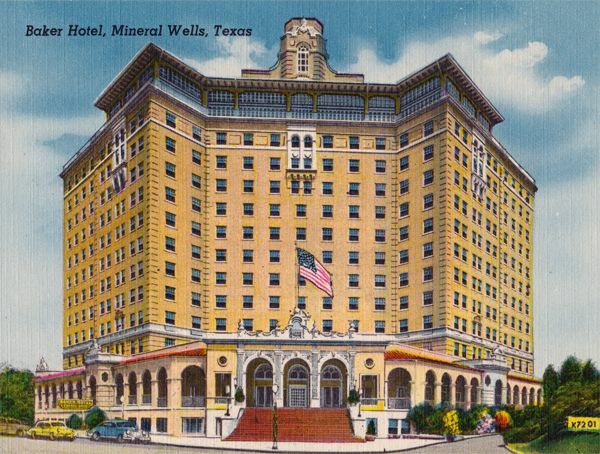 A treasure trove of history lies hidden in Mineral Wells, Texas. One colossal monument to that history towers above the city like a sleeping citadel. With her crumbling Beaux-Arts architecture, she is striking and beautiful, yet stark and ghostly. While the Mineral Wells of 2019 rushes on by and pays no mind, she stands quietly over the heart of the city as she has since 1929. She's The Baker Hotel. Once a magnet that drew movie stars, presidents, millionaires, and dignitaries from all over America, she's been boarded up and abandoned since 1970. 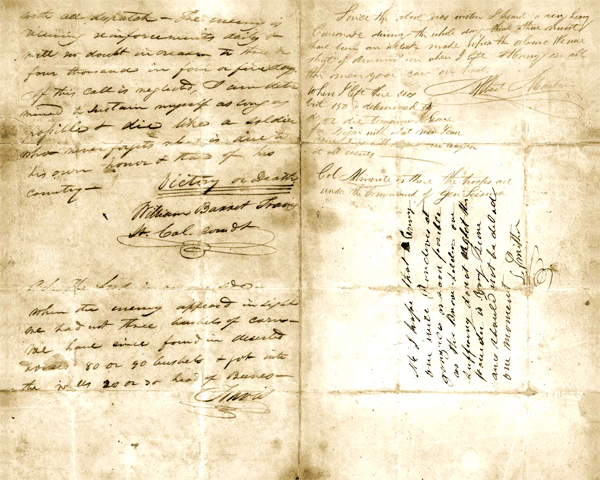 On February 24, 1836, William Barret Travis, Commander of the Texian rebels at The Alamo, wrote a plea for help as they were surrounded by enemy forces under Mexican dictator Santa Anna. Addressed to "The People of Texas and All Americans in the world" and signed "Victory or Death," this letter is known as one of the most stirring documents in American history. The Degüello was a bugle call used by infantry bands just before a battle to signal an enemy force that it would be given no quarter. 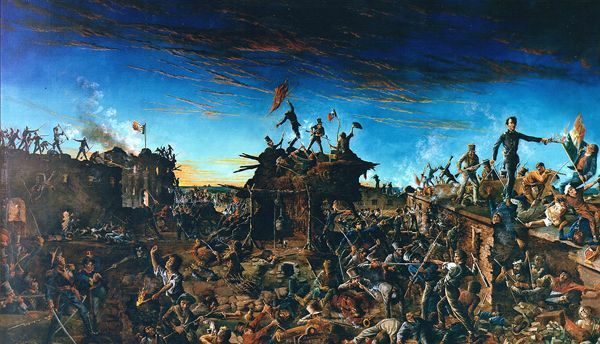 Santa Anna ordered it played just before the final seige of The Alamo on March 6, 1836. To a soldier facing insurmountable odds, the sound of this piece of music must have been bone chilling. 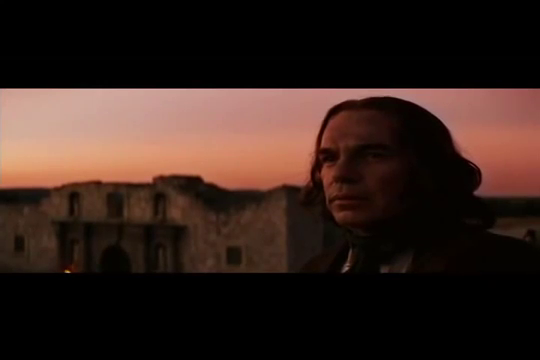 The original tune was reworked in the 2004 film The Alamo to set the scene for a powerfully moving fiddle accompaniment by David Crockett (played by Billy Bob Thornton). "It's amazing what a little harmony will do." 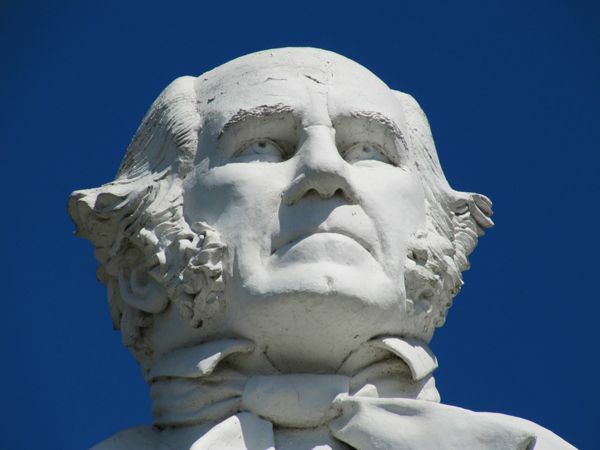 Immediately after the Texians' decisive defeat of Santa Anna's troops at The Battle of San Jacinto, Sam Houston famously addressed his soldiers: "Gentlemen, I applaud your bravery, but damn your manners." As order was restored and the evening wore on, I have always envisioned General Houston making an official victory speech (although history doesn't reveal whether or not he did).